Dentist: Dunwoody, GA : So what exactly are dental veneers? Lumineers, are similar to standard porcelain veneers, but are fabricated made from a patented cerinate porcelain that is extremely thin (about the thickness of a contact lens) and very strong. 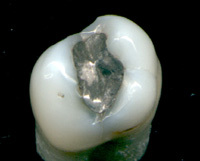 With Lumineers, the tooth surface does not need to be trimmed, so the procedure is quicker and totally painless. A similar ultra-thin veneer system to hit the market are Durathin veneers. One of the problems with Lumineers is that usually require the dentist purchase/produce a certain number of patient cases to be on their system/plan. http://www.lumineers.com or http://www.durathinveneers.com. 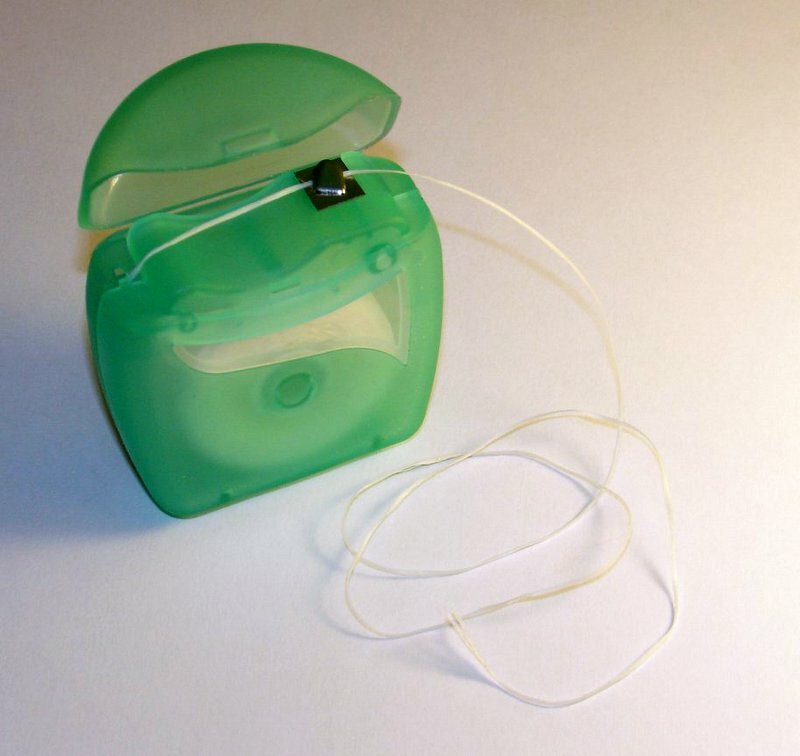 Floss regularly and floss first- It is recommended that individuals floss on a regular basis after meals and before brushing their teeth. The reason to floss first is to dislodge any food particles trapped in between your teeth, which can be disposed of while brushing. The proper way to floss is to push the floss gently between your teeth to the gum to loosen debris your toothbrush cannot reach. Initially, you may experience some light bleeding but this should disappear once your gums get used to the flossing process. Brushing your teeth- If you don’t have an electric toothbrush, good brushing by hand should take a minimum of 2 minutes and should involve brushing in a circular motion, which the electric toothbrush does for you. You work your way from one side of the mouth to the other, keeping in mind to pay attention to certain neglected areas such as the very back teeth and your tongue. Dentists recommend using soft bristle brushes and toothpaste that contain fluoride. The fluoride is important, because the rise in the consumption of bottled water has led to the population’s decline in fluoride intake. Mouthwash- I am not sure how effective this is, but if you’re not going to brush twice a day, using a mouthwash that contains fluoride at least twice a day is a good preventative measure that kills the bacteria responsible for cavities and gum disease. Given recent research, you might want to choose a non-alcohol based rinse. Your Dental visits- Maintaining your oral health requires regular dental visits at least every six months. You need to do this for early detection of potential global health problems that could develop into more serious issues and the hygienist can clean areas that might have been missed or that were resistant to the 3 steps above. Research shows that your dental care is an important aspect of your overall general health care. So you need to make sure you find a dentist that is right for you. This can be a difficult process. Look for someone who’s competent and you feel comfortable with, one you can have a collaborative relationship with. This is important because there are conditions and problems that were not discussed in this article that the dentist will need to pay attention to during your regular checkups. Hopefully after reading this article, you will have a better understanding of the basics for good oral health. I you have questions or concerns feel free to contact or call. Roswell Dentist: How much do dental fillings cost? and Why? Can working out improve your dental health? Yes, according to one study. Researchers at the Case Weste rn Reserve University School of Dental Medicine have discovered that people of a normal weight who exercise regularly and maintain a healthy diet are less likely to have gum disease. The study, published in the Journal of Periodontology, suggests that a healthy lifestyle may help prevent periodontal disease. There is no better way to boost your self-confidence that adds a spark to your personality than a charming smile. At The Right Smile Center, we can give you that. If you have any sort of a smile defect such as gaps between teeth, crooked teeth, gummy smile, protruding teeth, stained teeth, chipped teeth, artificial looking crowns or any problem which makes you self-conscious while talking or smiling, The Right Smile Center has an expert panel of aesthetic dentists to help you. All aesthetic defects are treated and corrected using various solutions such as veneers, bonding, tooth and gum contouring, etc., to shape and enhance your smile. Your smile makes the first impression on everyone you meet. A radiant smile will do much more than just cosmetic make ups or a new hair style to enhance your personality. It will boost your personality and literally change your life! If you would like to experience the magic of a dazzling but natural smile, book your appointment today and stand out from the rest. 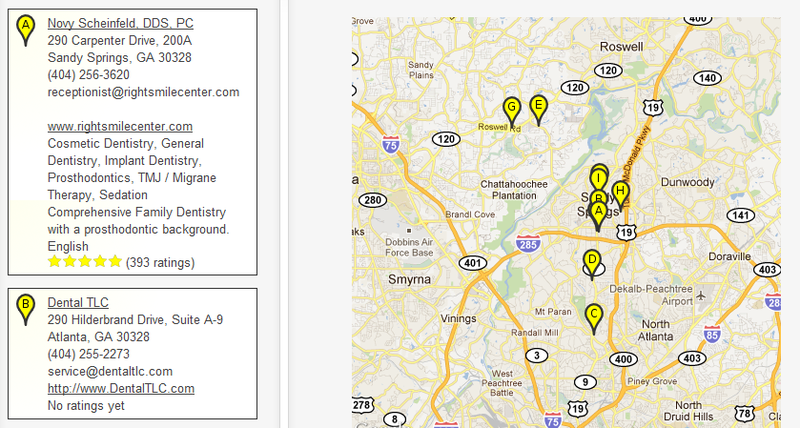 A state-of the-art dental practice in the heart of Sandy Springs founded in 1992. The Right Smile Center offers hi-tech, quality cosmetic and family dentistry in a friendly and comfortable environment. We pride ourselves on our clinical excellence offered with unparalleled customer service. Our cosmetic dentist Dr. Novy Scheinfeld is one of American’s Top Cosmetic Dentists in the Country. Dr. Scheinfeld is an Emory University trained prosthodontist, one of 3200 out 170,000 dentists in the country. 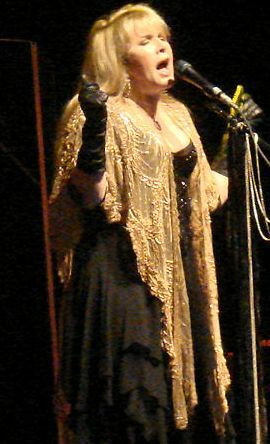 Dr. Scheinfeld has treated CNN broadcasters, professional sports players, music artists like Stevie Nicks and dentists in the surrounding area. Celebrity or not, if you want to solve a problem or create a new more natural smile, we are confident that we can help. Most women and girls, including myself, spend far too much time and energy worrying about our physical appearances when we have so much more to offer the world. And very often it’s aspects of our body that as much as we try, there’s just not much we can do about it. And the media and Hollywood are constantly throwing gas on the fire. · In the U.S. 80% of women are dissatisfied with their appearance. · Only 4% of women around the world consider themselves beautiful. · Only 11% of girls globally are comfortable using the word beautiful to describe themselves. · 54% of women around the world agree that when it comes to how they look, they are their own worst beauty critic. · More than 50% of women say they would consider having plastic surgery. But one aspect of our looks that you can change without unrealistic expectations is our smile. Our smile is the first impression we make whenever we meet someone. A smile makeover can be achieved by prosthodontist in ways that couldn’t be imagined years ago. The simple use of veneers or teeth whitening can make all the difference in the world in our appearances. 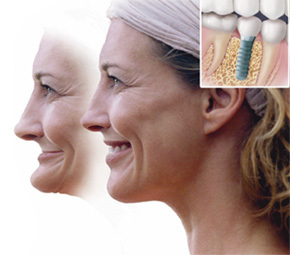 Those who have dentures and receding jaw lines can be modified by implants. My goal to create a positive self-image; what we like to call ‘the right smile for your life style’. If we can be of assistance or you have a question please do not hesitate to contact our office and make an appointment for a free consult.